Jason recently reviewed the game Double Dragon: Neon and gave the game a very detailed writeup here if you are interested in reading it. While his review was for the Microsoft Xbox 360, I had a chance to play it on Sony PlayStation Network. So I was curious to see if the game seemed to be the same between systems, and then if my own opinion matched Jason's. Like Jason, I had quite the history with Double Dragon when I was younger. I got hooked on the series back during its quarter gobbling inception, and played the daylights out of both Double Dragon and Double Dragon 2 on the NES. 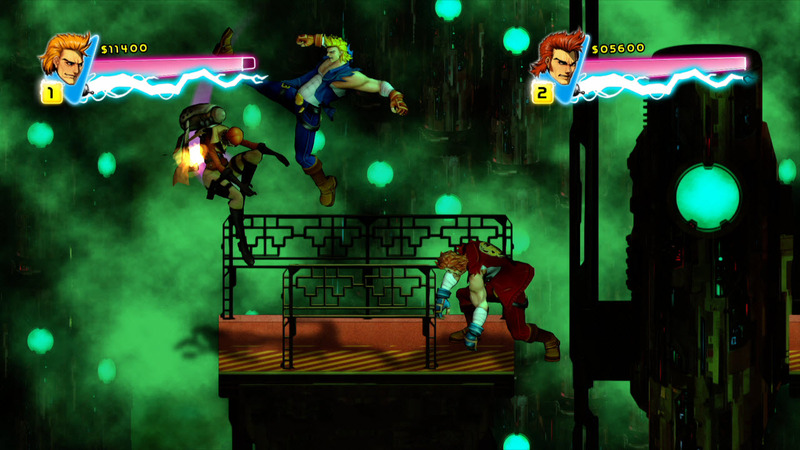 In terms of the combat, Neon feels more like the original games to me with buttons assigned to punch, kick and jump. The moves are all generally pretty easy to pull off, and while there is not a ton of depth to the basic combat, there are enough other factors mixed in to keep things fresh. These include a decent variety of enemies, wide ranging locals with weapons ranging from baseball bat to knife to hair pick. I am not making that last one up - there is in fact a trophy related to the use of that weapon. 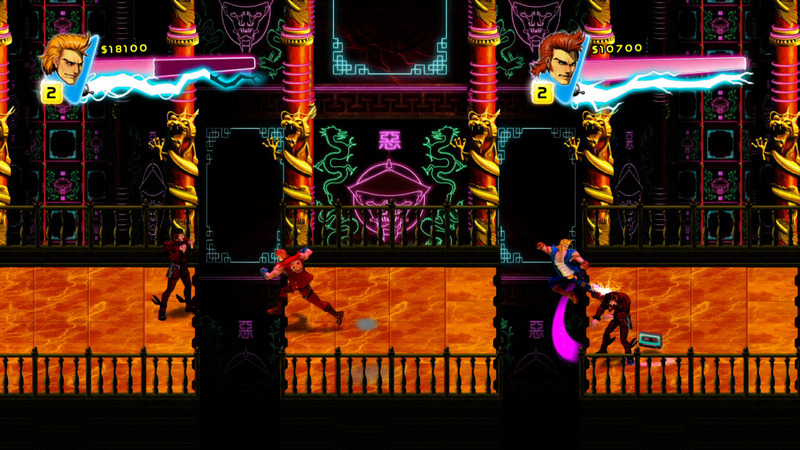 Visually, the game reminds me more of Double Dragon 2. The vivid use of colors certainly helps this title live up to its 'Neon' subtitle. Also, while the first game was a bit more grounded in reality (insofar as one or two guys taking out an entire gang of armed thugs by themselves can be considered realistic), the second Double Dragon had a futuristic storyline and a bit of mysticism at the end of the game. Here your final boss is an animated skeleton whose appearance, voice and dialog remind me way too much of Skeletor of He-Man fame. The reality-bending hardly stops there though. I think for me one of the most over-the-top pieces has to be the building that rockets itself up into space as you continue to fight off the gang. It actually all reminds me of a cheesy Saturday morning cartoon, complete with the Lee brothers playing air guitar after beating each level, giving one another amusing high (and low) fives to share (or steal) health from one another, and the acquisition of mixed tapes. Jason went into these mechanics in pretty good detail, so I will not go into great detail here. They do lend a welcome bit of variety though, adding stat boosts and special attacks that further mix up the gameplay and add an enjoyable lightweight RPG element to the proceedings. Fans of the original Double Dragon games will probably find several nice nods to the original games, and the intro song (one of my favorite video game songs ever) is pepped up a bit but still immediately evoked feelings of nostalgia. Keep in mind however, this is an updated take on a genre that some people feel has not aged very well. You can still take damage very quickly, and there are some platform elements that can feel a bit sloppy at times (though here it is more forgiving than the originals - you lose some life, not an entire life, if you miss a jump), being lined up with your opponents horizontally is also a bit fickle at times. That said, if you enjoy beat 'em ups in general or Double Dragon in particular, you will probably find more than a little to like about Neon. To be honest, when I heard Jason was going to get a review up on this game, I was hoping he would have a dramatically different opinion than my own so we could have a bit of a debate about it. Unfortunately that will probably have to wait for another time, because just like Jason, I think that this game is a lot of fun and I give it four out of five stars as well. 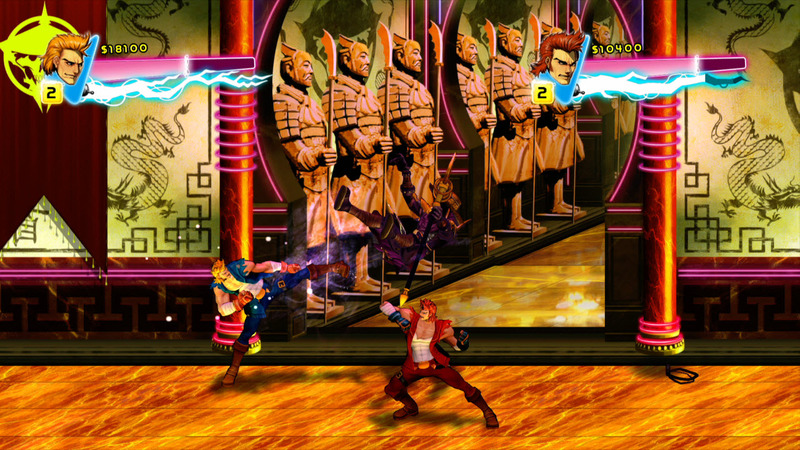 Item Reviewed: Second Opinion: Double Dragon: Neon (PSN) 9 out of 10 based on 10 ratings. 9 user reviews.